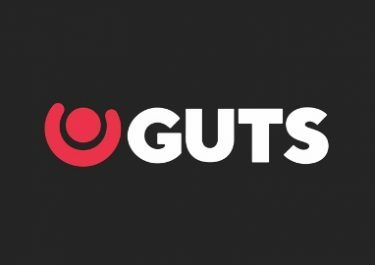 Guts Casino – Adventurous Raffle! Play for extra cash and Super Spins! Win a share of €5,000 by playing the latest adventurous games! Up for some extra action on the reels for the coming days which could net you ? Then don your adventure-wear, grab those binoculars and go hunting for big cash wins with Guts. 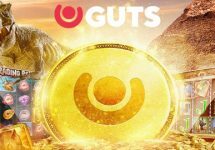 Jump right into the middle and earn your tickets to the raffle on 1st February where cash prizes of up to €150 or 25 Super Spins on Gonzo’s Quest, worth €1,00 each, are up for grabs. Play on Sticky Bandits, Mighty Arthur, Sakura Fortune and Rapunzel’s Tower to collect as many tickets as possible to increase your chances to scoop-up one of the 90 prizes. Feeling adventurous these days? Then Guts Casino is the place to be for the next few days as they have chosen some of the most adventurous slots from Quickspin to give away €5,000 in cash to 90 lucky players in a raffle to be held on 1st February 2018. Players can earn unlimited tickets to the raffle by wagering on the selected games. Terms and conditions apply. Get 1 ticket for every €10 wagered on Sticky Bandits, Sakura Fortune, Mighty Arthur or Rapunzel’s Tower. Although tickets are unlimited, there will be only one prize per player. On 1st February 2018, Guts Casino will randomly select 90 winning tickets from all eligible entries and allocate the prizes in order they are drawn. All prizes will be credited in cash within 48 hours of the raffle. Super Spins bundles will be credited at the same time with winnings being wager free. 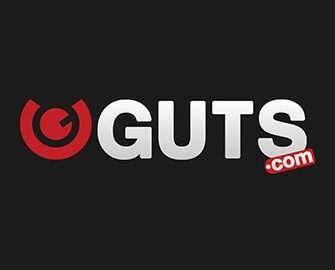 Prizes: 15x €150 | 25x €60 | 50x 25 Super Spins on Gonzo’s Quest, worth €1.00 each.